Two young lovers are denied the one thing they most desire... marriage! Can a proud captain’s daughter marry the lowly sailor she secretly loves? 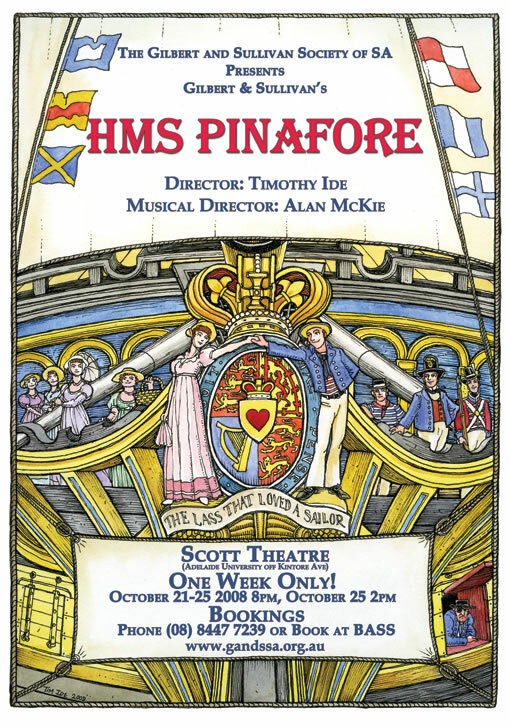 In this wonderful seafaring musical romp through some of Gilbert & Sullivan’s best loved tunes, the lovers (separated by the obstacles of class, dastardly plots and the British Navy) search for happiness, whilst the bumbling Sir Joseph Porter, head of the Queen’s Navy and a man who has never gone to sea, struggles to control his numerous female relatives. Under the direction of Timothy Ide, this unmissable show will play at the Scott Theatre from 21 to 25 October 2008.